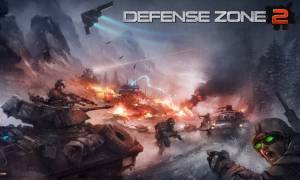 This Tower Defense strategy game is the sequel to Defense Zone. In this latest installment there are 13 areas each of which has a different landscape and terrain that you can defend and attack, and three difficulty levels. Three new weapons have been added in the form of two more Turrets and an airstrike which can be effectively used in strategic defense combinations. The sequel also features new opponents which allows even more action and tactics and enhances the player's experience by making the gameplay even more absorbing than the original.